University libraries around the world have embraced the possibilities of the digital learning environment, facilitating its use and proactively seeking to develop the provision of electronic resources and services. 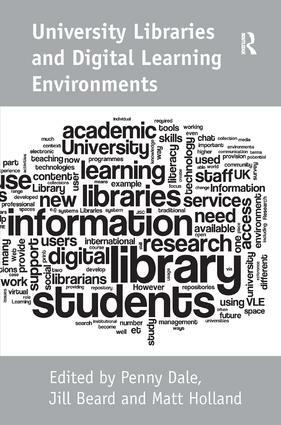 The digital environment offers opportunities and challenges for librarians in all aspects of their work - in information literacy, virtual reference, institutional repositories, e-learning, managing digital resources and social media. The authors in this timely book are leading experts in the field of library and information management, and are at the forefront of change in their respective institutions. University Libraries and Digital Learning Environments will be invaluable for all those involved in managing libraries or learning services, whether acquiring electronic resources or developing and delivering services in digital environments.